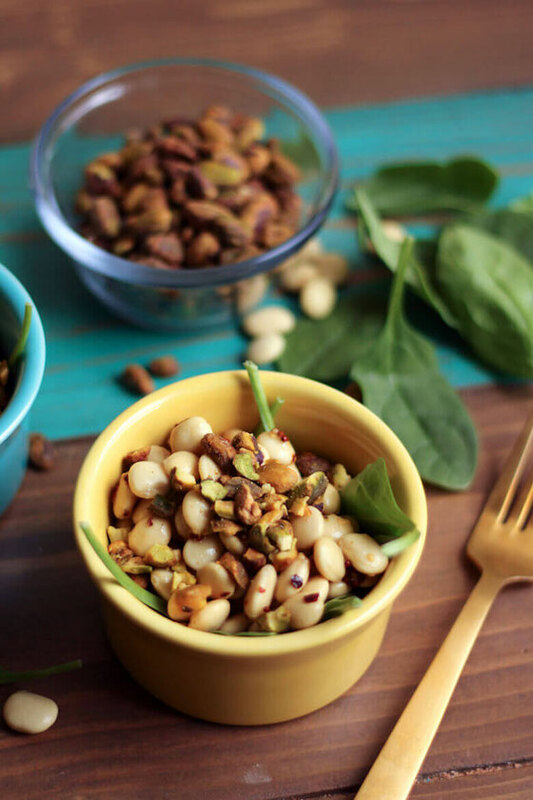 Here's a quickie appetizer that's also delicious and packed with nutrients! 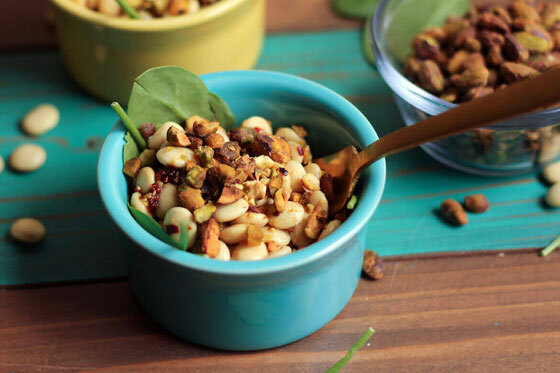 Serve it for snack time, for a get together with friends, or on top of a lunch or dinner salad. Here's a secret: I don't love to spend hours in the kitchen. I very much enjoy the process of cooking, but I'm often in a hurry. (Life is busy, after all!) And so I'm really a fan of healthy meals in a flash. We eat a lot of beans in my house. My boyfriend, Lawrence, and I will often make a quick lunch or finner with chickpeas or kidney beans. Recently, I've been really into lupini beans. If you've never tried them, go try them! They're often sold in glass jars in the ethnic food section of the grocery store, and you can buy them on Amazon.com. So I made this quick dish with a base of lupini beans, jazzing up the flavor with whole-grain mustard and red pepper flakes. 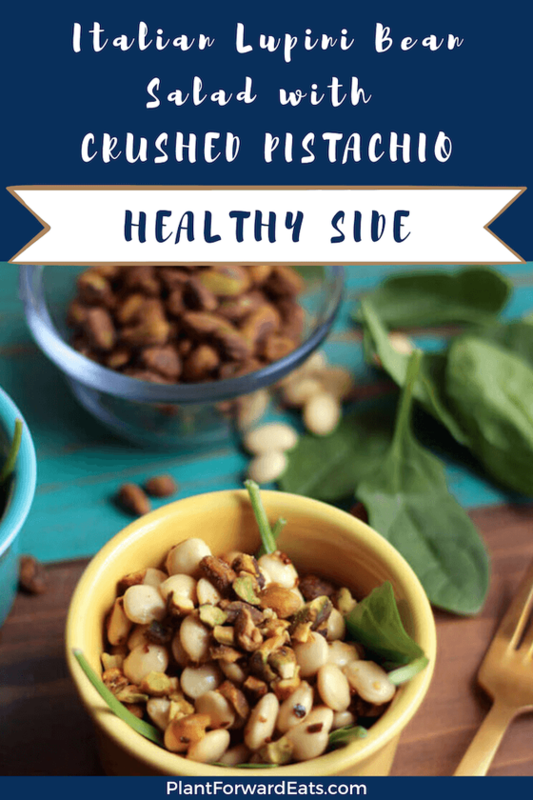 Then I topped my creation with crushed pistachios for extra crunch and extra protein. You see, as a dietitian, I want to make sure the vegan dishes I'm creating offer plenty of fueling protein! Lawrence and I ate this bean salad for dinner last night. You could pair it with a green salad. Or you can do what we did and pair it with whole-grain toast topped with sliced avocado. The combo was delish! And if you're looking for a light dressing idea, here's how to make healthy salad dressing with juice and other ingredients you likely already have on hand. Place spinach at the bottom of a small bowl; set aside. In another small bowl, mix together beans, mustard, olive oil, red pepper, and black pepper. 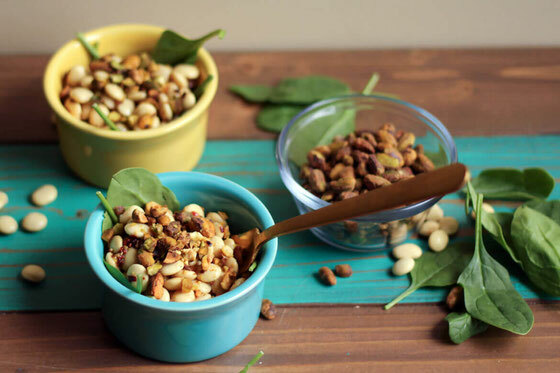 Top with pistachios. Makes 1 serving. What are your thoughts on this topic? 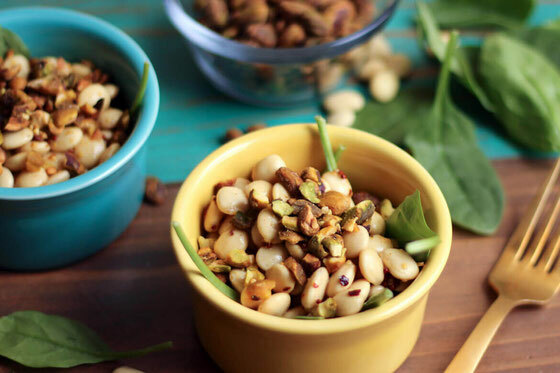 What are your favorite ways to cook with beans?